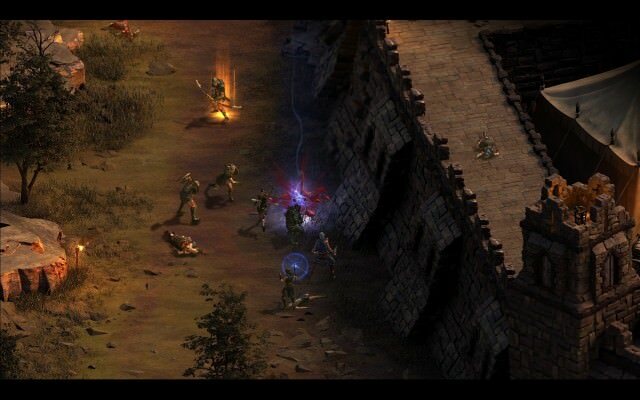 On their official developer diary, Tyranny director Brian Heins had some insights into what combat will look like in the game, in the ways it differs and is similar to Pillars of Eternity. In a general overview, combat is real-time, with the ability to pause at any time to issue commands to a party of up to 4 characters. In addition to the spells and abilities each character can use, there are companion combos which allow your character and a companion to work together in create a powerful effect. Abilities use a cooldown system, allowing you to use most of your abilities multiple times per encounter. Combat is based on your character’s skills, and the more you use those skills, the more experience you’ll gain. 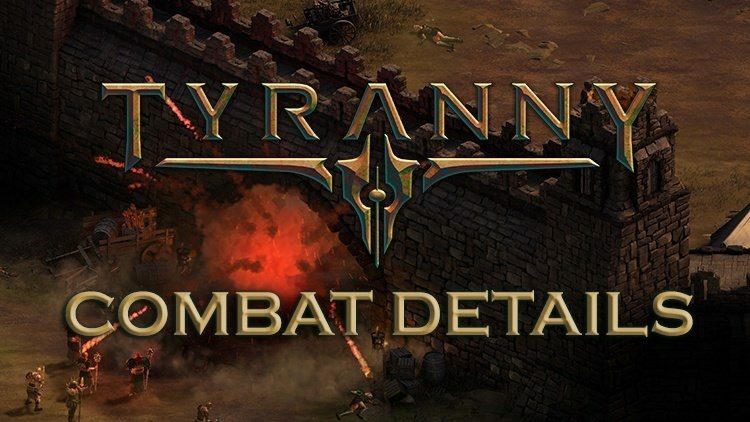 With that overview, what follows are some specific elements to the combat system in Tyranny. Accuracy is determined by character skills, and any attacks and spells will use the skills associated with the chosen weapon or spell. If more than one skill is used they are averaged together to find the final value. Accuracy bonuses from weapons or abilities are then added to that value to determine the attack’s total accuracy. The skills used to determine accuracy are the skills that earn experience. Each attack targets one of the 5 defenses: Parry, Dodge, Endurance, Will, or Magic. Enemies have specific strengths and weaknesses regarding these defenses. The accuracy value is compared to the defense and the difference is used to determine the results. The higher the accuracy the greater the chance to crit, and the lower the accuracy the greater the chance to graze or miss. There are several damage types: Slash, Pierce, Crush, Burn, Shock, Frost, Corrode, and Arcane. Enemies have different strengths and weaknesses against these. Armor protects against damage but also gives different protections. Heavy armors provide Armor which reduces damage dealt to a minimum of 1. Lighter armors give Deflection which adds a chance that an attack will be downgraded a level. A crit could become a hit, a graze could become a miss and everything in between. You can increase Deflection with Finesse and other talents. Characters have a single health bar, when damage reduces it to 0, they fall unconscious. They can be revived with special abilities or items or will revive at the end of combat. Unconscious characters gain a wound. When wounded max health is reduced and all skills suffer a minor penalty. Wounds stack and remain until rest. The game will have 4 difficulty settings: Story Mode, Normal, Hard, and Path of the Damned. Increased difficulties feature improved AI and tactics rather than more enemies. They will more effectively chose targets and use their abilities more often. Weaker enemies will also be replaced with more challenging ones. Interrupt is still a feature in the game. Only some abilities will interrupt on a hit or crit. Any interrupted target has their actions cleared and enter recovery for a length determined by how strong the ability was. Consumables are now an instant action, meaning the effects apply as soon as you use the consumable, even if the character is on recovery. Once a consumable is used, all consumables for that character are on cooldown to prevent spamming healing. Friendly Fire is no longer a concern for players, allowing them to focus on the combat. With this list, combat now has a more defined quality and should begin to take shape in players’ minds. Check out our E3 preview for a hands on look on the game and keep with us as we continue to bring updates on this dark sequel’s development! Setting up a diagonal line or a ^ shape to meet enemies and catch most with the first 3 members so that you give the casters at the ends of said shape free reign to use cone spells without worrying about catching team mates in them would be a big deal in many fights. That same formation also creates a big area free from teammates, or with only 1 teammate in it, that allowed the use of AOE spells to fence in the enemies. If they tried to walk through a freezing fog to get to the mage who was casting it or to get to the cleric who was keeping the melee alive, they’d be suffering a speed debuff and be blinded while having to walk past your best melee damage dealers (who go on either side and just behind the tank, who is the point of the ^ shape) to do it, meaning they’d almost certainly die in the attempt and your mages were free to keep causing problems. That’s how you win fights in Pillars of Eternity. You have a formation and an overall strategy (including party members and a set of weapons and spells) chosen specifically to work with that formation, and then the real challenge is when you have to adjust it and make it work or come up with new ones on the fly as the game tries to throw curveballs at you (like an enemy mage forcing you to break ranks with giant cloud debuff spells or fatal swarms of bees.) That isn’t anywhere near as necessary if you aren’t worried about cooking your own allies with your spells and it’s less important still with a simple 4 person group. All that positioning changes from complex strategies that dictate the entire party setup to "melee up front, ranged in back." You’re not worried about breaking ranks and getting immediately overwhelmed by superior numbers because there are no ranks. The answer to almost every problem just boils down to not standing in AoEs and killing faster. Not a mentally stimulating or terribly satisfying way to resolve combat problems. Even DAO had a Friendly Fire Option. I actually am intrigued on how the gameplay is described. I personally hate positioning and rarely use mages because of Friendly Fire. Why are you not just playing action games or JRPGs if you don’t like positioning? Don’t get me wrong, I love DAO, but god the combat is incredibly boring on all but the highest difficulties (and even then it’s quickly trivialised if you happen to know how to build.) If I don’t *have* to micro manage the whole party to succeed, then having access to them is basically pointless. Bioware may have gone exactly the wrong way by stealing mmo combat and becoming an action game, but even they realized that and that’s why they didn’t stick to the KOTOR pattern. Have you played this type of game with a mouse where positioning is actually simple to do? Played plenty of these games, loved Baldur’s Gate, Icewind Dale, Neverwinter NIghts and Planescape. I usually lure enemies into traps when I can and then just spam abilities. I actually hated the gameplay of DA inquisition. I’m just lazy with positioning and focus more on using abilities. As I stated I’m interested in the gameplay, I just wish we could have more characters in the party and they brought back custom party members. Kinda in the wrong genre to hate positioning. It being still there but simplistic and boring (like the vast majority of DAO) is actually worse than it just not being there. If it’s just not there then they can do other interesting things in it’s place (think Grandia or Final Fantasy 10 or Bravely Defualt) without overcomplicating things. Well so do I, but my point remains. They didn’t stick with DAO/KOTOR combat because it satisfied neither cRPG fans nor action game fans by being too simplistic and cumbersome for the former and too slow/micro management heavy for the latter. …More characters would make positioning more important. Unless they wanted the game to be hilariously easy, they’d have to compensate with more enemies and/or enemies that hit harder, which means it’s more important that you have a decent formation to protect your healers/ranged dps, because if you get flanked and they go down then you’re basically screwed. I like strategy games but hate micromanaging, If I can issue Vague Orders to the AI and don’t have to keep the game in perpetual pause to defeat a foe and The Companions don’t just cluster, then I’m happy. As for the More Characters and Formations being Streamlined, I thought that Last Remnant was a step in the direction I like, but still needed more refinement. But getting back on topic of the gameplay of Tyranny, I’m interested to see how the gameplay Is with the Dragon Age Mechanics in Mind. 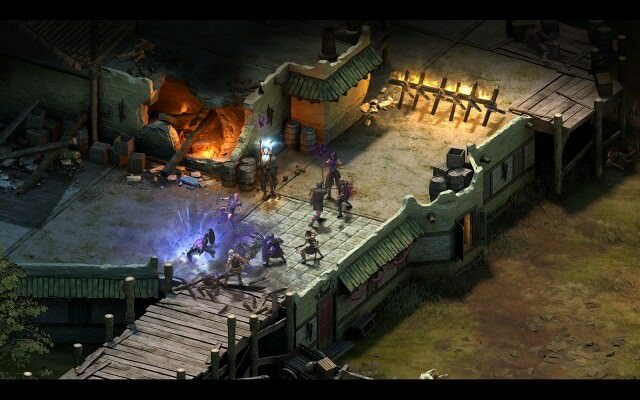 I’m hoping that Tyranny Improves on the DAO mechanics if it is like it and make it the way the sequels should have been.